Sometime back I received this set of samples from the Cooperative of Falset Marçà in Priorat who fall under the auspices of DO Montsant. For those unfamiliar with the cooperatives of the county of Priorat, there is one within DOQ Priorat and six within DO Montsant. This one is in Falset and was originally formed in 1912 when the winegrowers of the early 20th century had good reason to band together as they were in effect extremely screwed. Phylloxera, various vineyard problems, WWI, and people just not really wanted to live in the rugged (and at the time) disconnected county of Priorat made it hard to farm the region. Thus they pooled their resources together to make wine. This is a common story throughout all of Europe and it was typically the case that the cooperatives made bulk wines with little character but it sold and people were ultimately able to eek out a living. As time has gone on, their role has diminished a great deal and most would argue that throughout Europe, they objectives run contrary to modern winemaking goals. 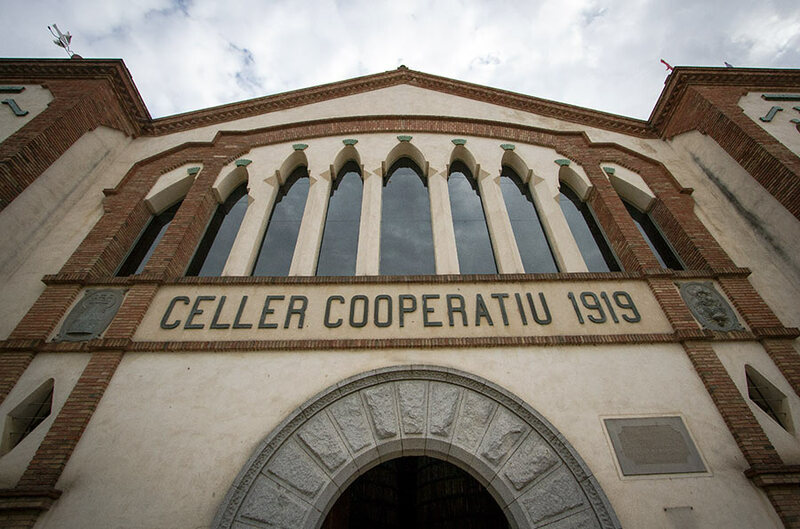 This is shown greatly in DOQ Priorat where all the cooperatives that were left eventually joined together in to the single cooperative in Gratallops which heavily blends wines from all over the region. Everyone else set off to form their own cellars or sell their grapes to these new private enterprises that paid better. The change wasn’t nearly so prominent in DO Montsant. The cooperatives’ members have dwindled heavily over the years and Falset & Marçà in 1999 merged in to the single entity that you see today. But despite this, a whopping 60% of DO Montsant wine is still produced by the cooperatives. Some do a decent job of producing affordable wines that carry the typicity of the region well enough. Others, do not. Falset Marçà falls somewhere in the middle with some wines that I quite like and others I don’t. The entry level or Ètim wines, for the price, have generally proved to be a very good value for the money. I also had generally liked the wine in the Castell range (I’ve bought a magnum or two in the past) which I assume was made with their higher-end or older grapes but now, they’ve reworked the whole line with new labels and a broader range of wines which on many levels, I don’t fully get. As this is the first year maybe they’re still working out the blends and parcels but while Lo Foc I find to be decent overall and a good value, La Dama, Lo Senyor, and especially Lo Joglar were very unclear in the direction that they’re heading with these wines. The wine was unfortunately marred by a good dose of TCA but under that you can make out tropical notes, old oak, apricot, white pepper. Good acidity and some decent structure but it seems to fall a bit short. Will need to re-taste with a correct bottle at some point. Red fruits, cherry, young prune, white pepper, wild spices, and a kick of typical Montsant clay minerality. Prune in the body with more pronounced toasted notes that lead in to the finish and make for a balanced pleasing wine overall. Aromas of forest fruits, strawberry, raspberry, vanilla, dusting of minerality, menthol, and a very high degree of alcohol in the nose. Good deal of acidity in the body but with sharp, toasted notes and astringent finish that doesn’t round out well. Apparently made using the mutage method of adding alcohol to stop fermentation, it shows the alcohol in an extremely potent fashion in the nose along with minor raisin notes. The body is lacking structure and holds the same potent quality like the nose. Overall an extremely unbalanced and difficult dessert wine to work through.